Diamond Collection Clear w/Silver Diamond Border 10oz Plastic Cups 10ct. Decorline 10 oz. 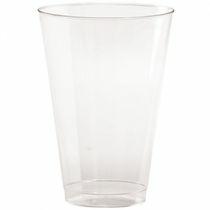 Clear With Silver Rimmed Plastic Cups 10 Ct.
Inspiration 10oz. Clear Plastic Cup with Silver Lace Border 10ct. Poise 12oz. Clear Plastic Party Tumblers 20ct. 10oz. Yoshi Clear Plastic Tumbler 20ct. 10 oz. Clear Plastic Square Bottom Tumbler / Cup 20ct. 7oz. Clear Plastic Square Bottom Tumbler 20ct. 14oz. Clear Plastic Tumbler 40ct. Clear Plastic 10oz. Party Cups/Tumblers 20ct. 7oz. Clear Plastic Tumbler / Cup 20ct. 5oz. Clear Plastic Tumblers Cups 20ct. 1 oz. Clear Plastic Shot Cup 50ct. Clear Plastic 2oz. Footed Shot Glass/Cup 10ct. 2 oz. Clear Plastic Shot Cup 24ct. 2oz. Plastic Footed Shot Cup 10ct. 9 oz. Clear Plastic Parfait Cup 20ct. 8oz. Clear Plastic Footed Dessert Cup 10ct. Yoshi 10oz. 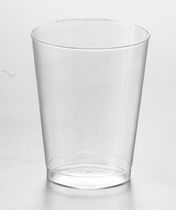 Square Plastic Cup / Tumbler 14ct. 3" Wide 4oz. Square Plastic Cube Cup 10pk. Silver Like 5.5oz. Disposable Wine Cups10pk. Silver Like 6oz. Wine Disposable Cup On Stand 6ct. 2oz. Wavetrends Square Clear Plastic Tumblers 18ct. 8oz. Wavetrends Square Clear Plastic Tumblers 14ct. 10oz. Wavetrends Square Clear Plastic Tumblers 14ct. 12oz. Wavetrends Square Clear Plastic Tumblers 14ct. 14oz. Wavetrends Square Clear Plastic Tumblers 14ct. 16oz. Wavetrends Square Clear Plastic Tumblers 14ct.